360° Website Images and Virtual Tours See much more! 360 Degree Tours, 360 Views, Video Tours and Active Plans can bring you web pages, products, locations and services to life. A host of features can be included in each module including text, videos, photo albums etc. All of the modules can be added to any website and are fully responsive and touch controllable. Views are positionally controlled (rotate with the device) on mobiles and tablets. Views can also be zoomed in and out on with the viewpoint and direction shown on the on screen plan. Click the links below to explore the 360 degree effects which can be created anf get ideas for your products and services. Explore any location with connecting navigation icons. Entire 360 degree virtual tours can be constructed containing text, images, slide shows as well as the 360 images. The user can guide themselves around the location or property. The images are then prepared to be displayed on a website and linked together to create a tour. Dsiplay the entire room layout. A single 360 degree virtual tour comprising of a 360 degree image to display a room which is then prepared for display on a website. Ideal for displaying properties, installed products, production facilities, showrooms etc. Text and slide shows can be attached to the image as hotspot links. 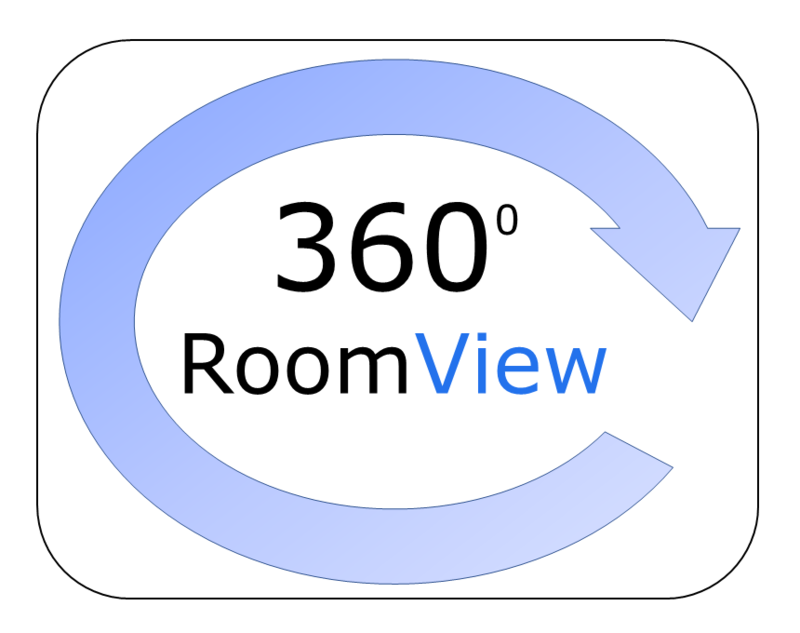 A simpler version of the 360 degree virtual tour comprising of a single 360 degree image t display a view which is then prepared for display on a website. Ideal for displaying gardens, locations etc. Create engaging slide tour videos. The video tour is essentially a slide show which is joined up to form a video. Videos can then be added to YouTube or other social media platforms. Ideal for displaying products, facilities and properties. Automatically creates a slide tour from property images which zooms in and out and which can also be presented to Rightmove, OTM etc. as a Video Tour. Active Floor Plans locate images to plan locations. Active plans provide 'hot spot' locations on a plan or map to allow users to view images - including 350 virtual tour images for each hot spot. Active plans can also include text slides and image slideshows.